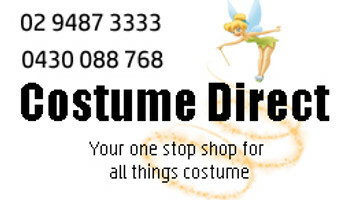 At Costume Direct, we can take you back to the fabulous 50's! Our range of 1950's costumes will have you dancing the night away in our Grease inspired, rock n roll costumes. 1950's fashion is all about the poodle skirts, leather jackets and denim jeans. Dress up as your favourite Grease character for an adorable couple costume as Sandy and Danny or the ultimate iconic rock star as Elvis Presley. Whatever your retro 1950's outfit is we have you covered with our range of costumes and accessories, delivered Australia wide to Sydney, Adelaide, Brisbane, Melbourne and Perth. The 1950s - tell me about it, stud. The fashion featured in the musical Grease include poodle skirts, denim jeans and leather jackets. Sock-hop-dance the night away in a Sandy costume or a Pink Ladies costume, rock the Hollywood luxury in a glamorous Marilyn Monroe costume, or burn up the quarter mile in a T-Bird jacket costume. All the other rebels without a cause will thank you very much in your bejeweled Elvis costume! Baby, you're going to look fantastic in your rockabilly, retro 1950s costumes!